How to Spot a Religionists. Man's ways or thoughts or ways cannot adequately define God! 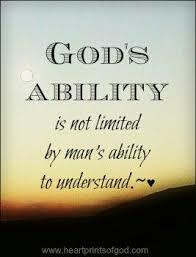 God is beyond man's finite ability to form a complete understanding of. 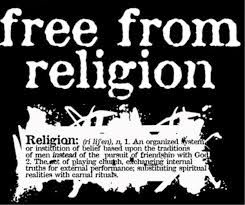 There is no human language, English, Greek, Arabic, Hebrew or any other that can communicate the absolute truth about God! If we do give what we think are absolutes about God, we are creating idols and when people accept our explanations about God as truth...we set up idols that people worship and we cause them to become idolaters. God is far beyond any human language to comprehend. Man's finite explanations that we think and speak and write to try to communicate ultimate reality of God are only symbols, not reality in themselves. These symbols are limited to our human reasoning, understanding and our earthly fabrication of things we are familiar with. The reality as to who the infinite God is cannot fit into man's finite understanding. 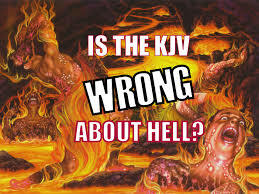 What the HELL is Wrong with HELL? Colossians 1:19-20 tells us that God will reconcile all things on earth and all things in heaven to Himself, having made peace through the blood His Son shed on the cross. Ponder this question...How could hell, a place of endless torture where the vast majority of people God created because of His love will spend eternity, be considered as the reconciliation of all things, and a means of bringing peace between God and His creation? The Bible says it...I believe it...That settles it. If the Bible says it, I believe it and that settles it. This claim is conducive to saying "my belief is the right belief because my interpretation of the text is correct". This is a lie by all who claim it. I am not saying, they don't think they “just believe the Bible", because they really think they do "just believe the Bible”, but this kind of thinking is the greatest contributing factor to one's failure to see all the areas where they could be wrong about what the Bible really says. People who say they just believe the Bible may be the most dangerous people to be schooled by as to the true teaching of the Bible because they are blind to to its truth due to the environment that has influenced their understanding of the Bible. They interpret the Bible in light of what they already believe. 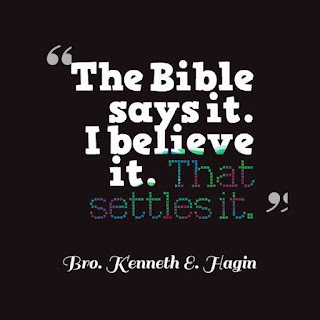 Believe it or not, “The Bible says it; I believe it; that settles it...is NOT a Bible truth! End Time Bankruptcy of Christendom. The spiritual bankruptcy within Christendom has never been more apparent than in the misuse of Bible verses and the abuse of "prophetic words" in the proliferation of end-time scenarios by end-time fear-mongers, both past and present. I wonder what will the present and future self-proclaimed prophets of gloom and doom will do when their prophecies, their "Obama antichrists, their "Trump saviors" and their "thus sayeth the Lords" proves to be false...as has all the fear-mongering prophesying prophets since the dawn of the escapism theory. Should they not be discredited as prophets of God and that the source of their spiritual insight is not from the Spirit of Truth? 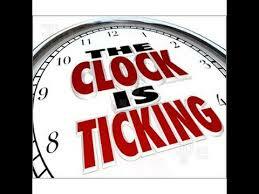 People are addicted to the end-time escapism theory...because...they are addicted to the religious deceptions of man.